of door takes the idea of traditional barn doors, adds a little style, and bam! A contemporary, industrial, yet homey and warm aesthetic is born. One of the reasons for the increasing popularity of sliding barn doors is they are functional. Thanks to the rolling hardware design, barn doors are ideal for areas that don’t allow for a lot of swing room. 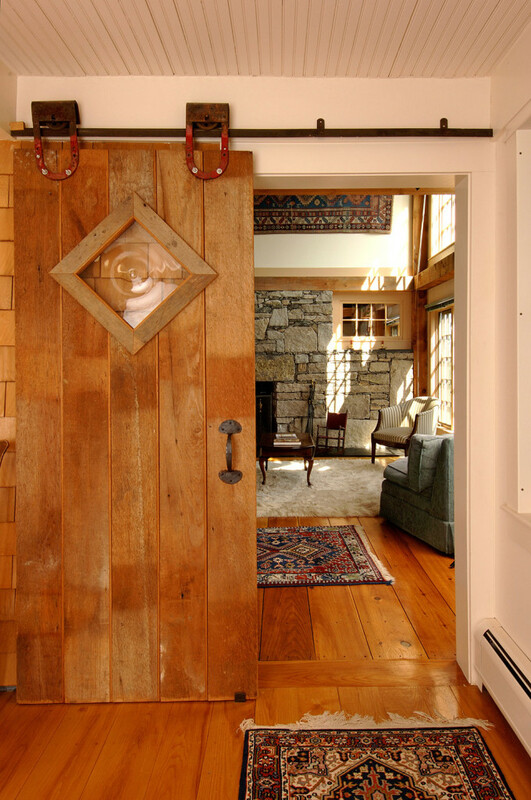 Barn doors are mounted above the doors and simply slide open against the wall, rather than swinging out. Another benefit of the rolling door hardware barn doors utilize is the person opening the door doesn’t have to struggle with the weight of a solid door. The sliding hardware also prevents doors from sticking. Door hardware technology has come a long way. Barn doors are a great addition to any room. They add that creative and functional element to master bedrooms, bathrooms, lofts, sitting rooms, or even kitchens. A few other ways to utilize barn doors are for entertainment centers or TV covers. This is a simple way to hide that nook of movies, wires, and mish mosh of consoles. Barn doors can also be used as window covers in lieu of drapes. How about as a closet slider? Barn doors can also be used as pantry doors. They can also be used as a space saver for those laundry rooms located in the hallway. Versatility is what makes barn doors a growing trend among homeowners and builders. Doors and Windows West provides customers with a variety of barn door options from reputable manufacturers. Choose your favorite panel doors, give us your requirements, and we will work with you on finding some great solutions.